Zhejiang Wanmei Toy Co., Ltd. Description of 2015 Hot selling cheap spring rider , plastic rocking horse toy 9 Description 2015 Hot selling cheap spring rider , plastic rocking horse toy Model No. Or maybe you could send me your pictures or website to me and then let me check if we could make it and then send you the price. Q3 : What is your delivery time9 A3 : It is based on the quantity your order. After - sale services : we insist on offering top class product and service . 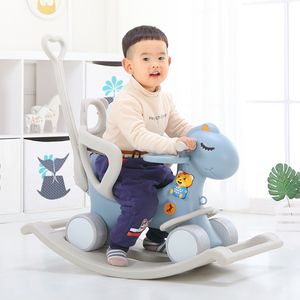 real case and detail rocking horse gygy rocking horse plastic rocking horse real case and detail photo for your reference competitive : For the same products in same quality and same standard , we will offer you the lowest prices . And our superior after-sales service make them no need to worry about the future problems . The products above are designed according to the kid's interests and hobbies with good quality. We provide first-class products and services for customers. Q2 : What is your delivery time9 7-10 days after receiving the deposit. 2. We have professional 150-200 workers who have more than 10 years experience in children furniture production. 3.Our products have been enjoyed a height prestige in domestic and international market. 4. We can supply various of children furniture with high quality and competitive price. Customized Service We provide professional customized service, namely, we are capable of providing the specific pro duct. After-sales Service Our customer service representatives are able to help with any question and inquiry. Due to rich experience in developing & production, our products sell both well in domestic and overseas. Customzied character plush toy II. W Max Loading Carton Measurement Product size Container Age Small 6.1kg 7.5kg 60kg 50x27x48 cm A:66cm B:31cm C:60cm D:42cm E:48cm F:72cm 20'GP:430pcs 40'HQ:1040pcs 3~14year old Model N.W G. W Max Loading Carton Measurement Product size Container Age Medium 14.5kg 16kg 80kg 60x33x66cm A:80cm B:33cm C:76cm D:43cm E:66cm F:92cm 20'GP:220pcs 40'HQ:500pcs 14+year Model N.W G.
Name Rocking Horse SIZE 84X27X50 CM Material PE, PP Advantage 1.Shape:Perfect appearance with animal shape,beautiful, fun and convenient for children. 2. Material:Adoption of the imported engineering plastic, non-toxic,environmental protection,safe it is strong and durable. 3.Color: green and pink Function Through rocking back and forth, Children can develop their body balance and also can make their muscle much stronger Age range 1-8 Age Apply to Communities,amusement park, kindergarten,preschool,residential area, supermarket,garden Packing Carton Detailed Images Our Company Packing & Delivery Packing: 1pc in one bag, 6pcs in one carton Delivery: Within 20days for one 40HQ. 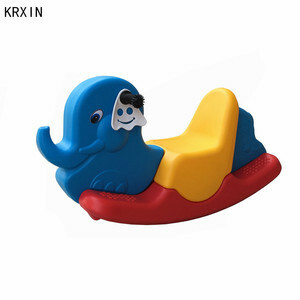 Rocking horse toys 3.We are factory that product them by ourselves,high quality standards. What's more, We make our contribution to the education course of China. Welcome to contact us for more details at any time and visit our factory ! We provide 24 hours whole day online service, your inquiry will be on our priority attention. We can customize your own brand image with professional team for design and promotion. After sale service: We are here for your any questions at any time regarding the playground equipment. 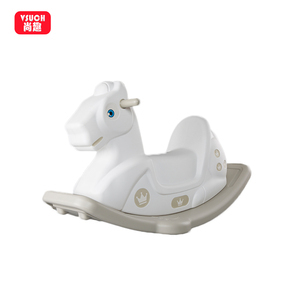 Alibaba.com offers 4,045 plastic rocking horse products. About 47% of these are ride on animal toy, 5% are other toys & hobbies, and 1% are stuffed & plush animal. 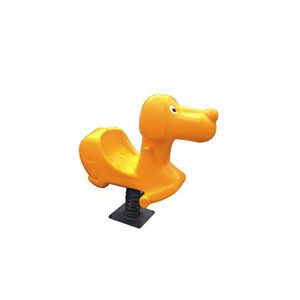 A wide variety of plastic rocking horse options are available to you, such as pvc, pe, and abs. You can also choose from free samples, paid samples. 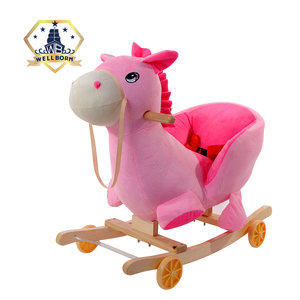 There are 3,973 plastic rocking horse suppliers, mainly located in Asia. The top supplying countries are China (Mainland), India, and Pakistan, which supply 99%, 1%, and 1% of plastic rocking horse respectively. 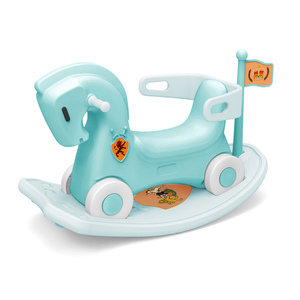 Plastic rocking horse products are most popular in Domestic Market, Southeast Asia, and Africa. You can ensure product safety by selecting from certified suppliers, including 1,646 with ISO9001, 918 with Other, and 452 with ISO14001 certification.